There is so much to see and enjoy in this quiet part of Lincolnshire. 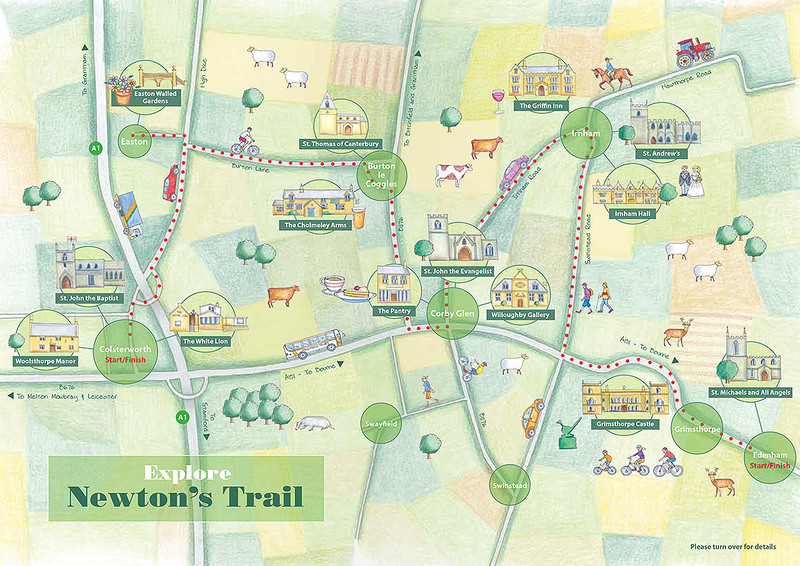 Use the trail map to guide you between places on the country lanes, either by car, bike or on foot. Have lunch in one of the pubs, stock up on supplies in the Pantry and simply soak up the special atmosphere of our churches and country houses. Download the trail and use the contact details located on the reverse to make sure the places you want to visit are open, as some of us operate seasonally. We look forward to welcoming you.